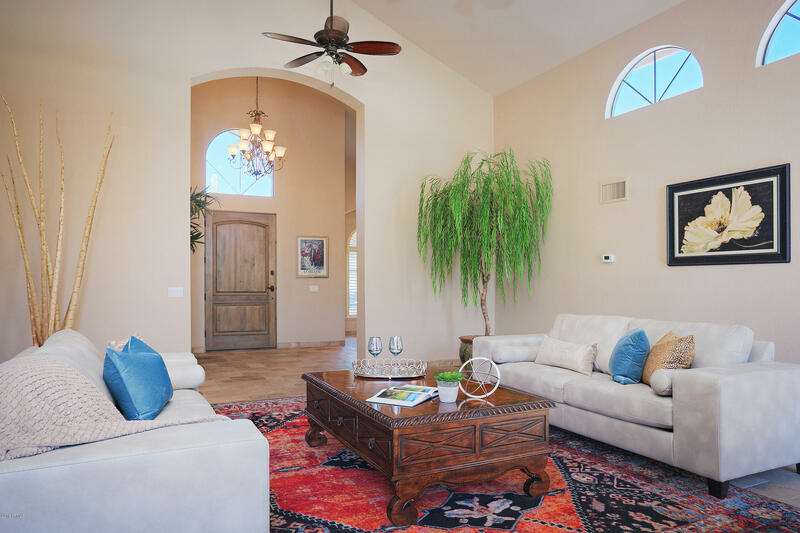 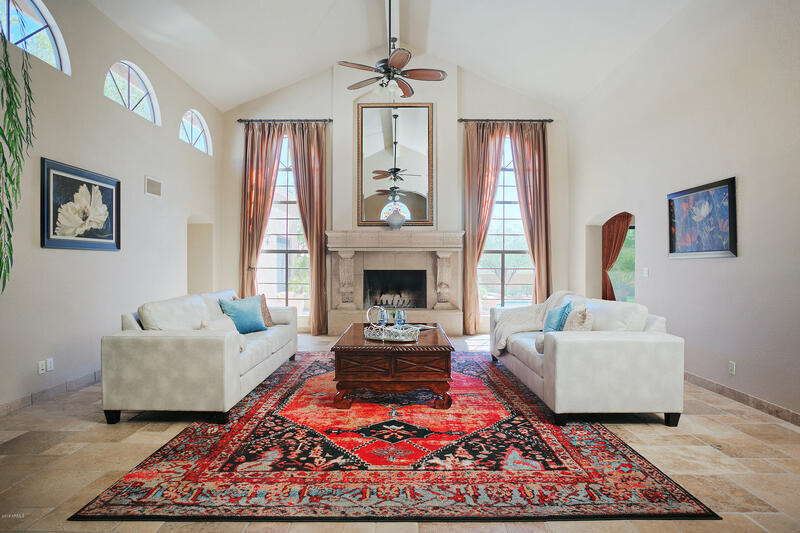 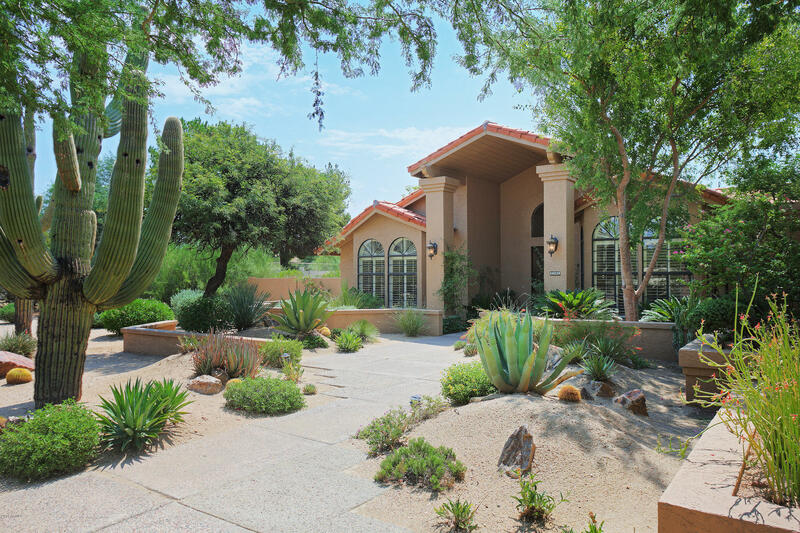 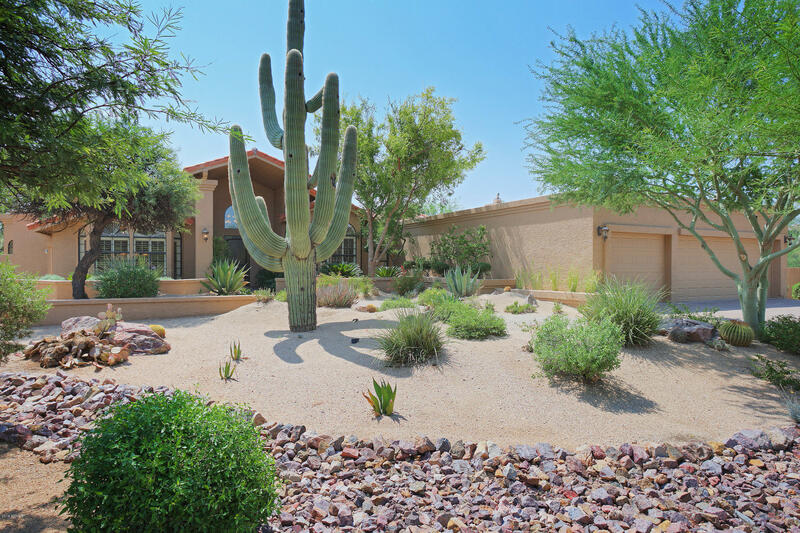 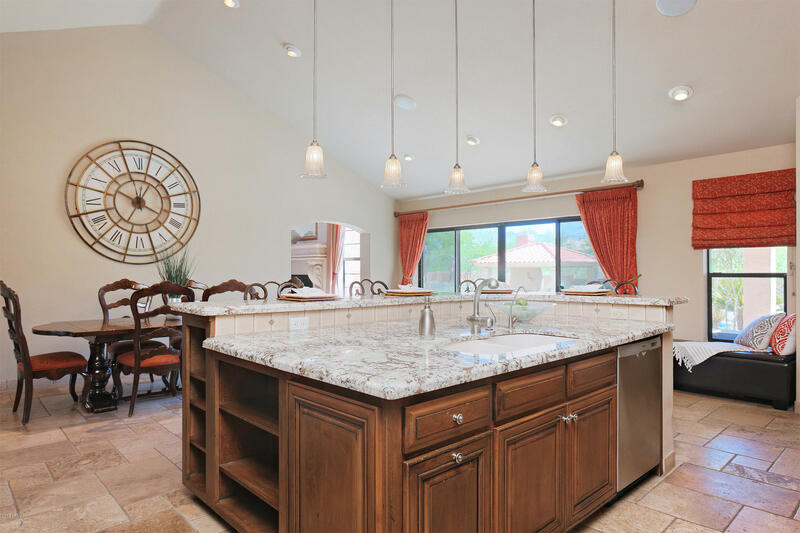 Located in sprawling Pinnacle Peak Estates, this beautiful residence is situated on just over an acre with impeccable landscaping front and back. 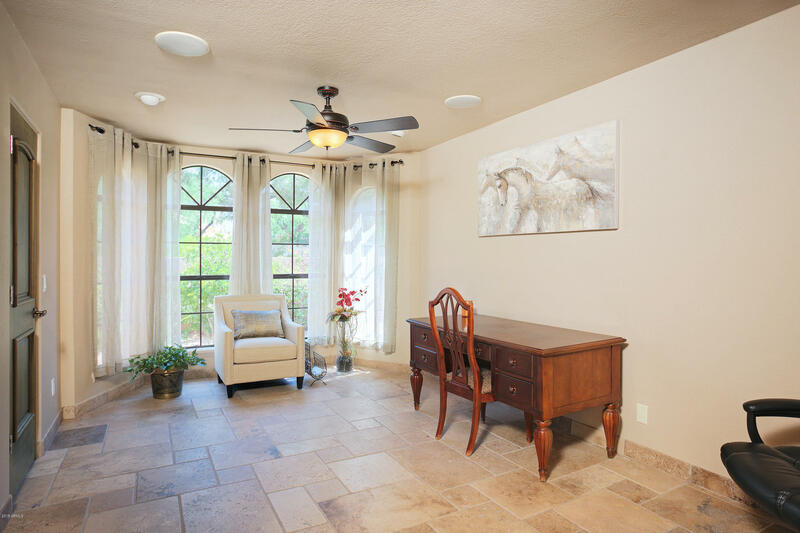 A towering gabled entry welcomes you. 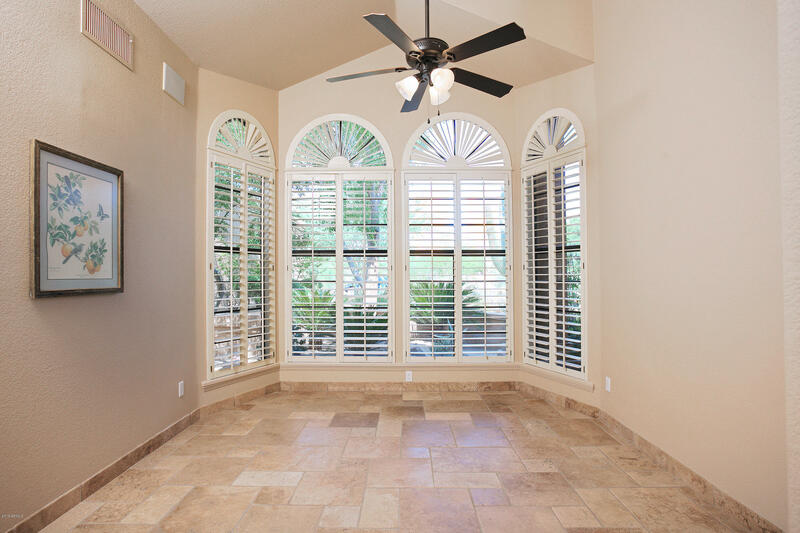 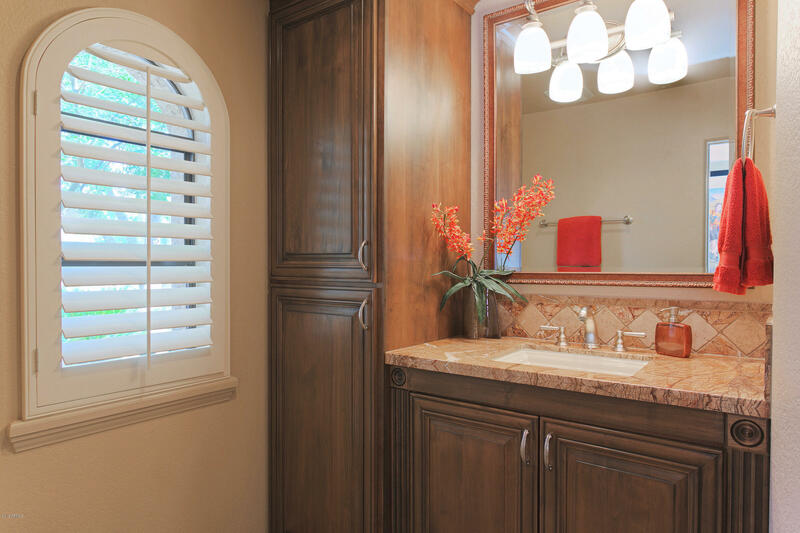 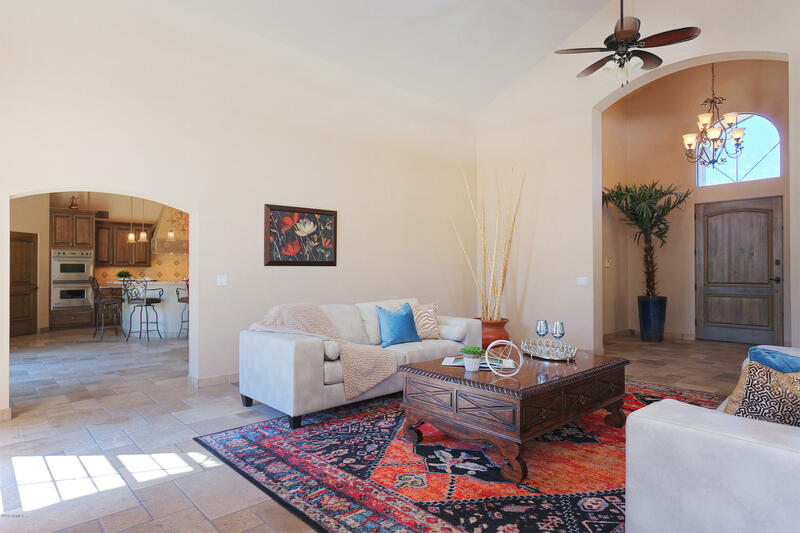 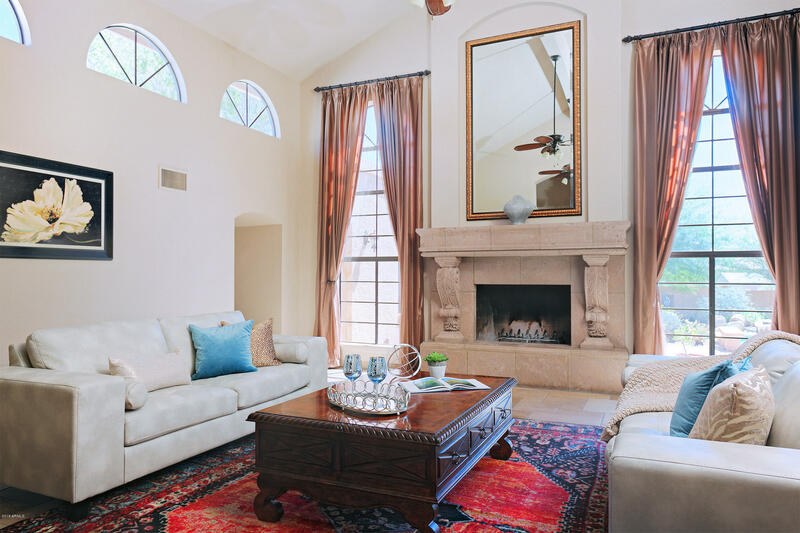 Inside you'll find warm interiors and natural stone flooring. 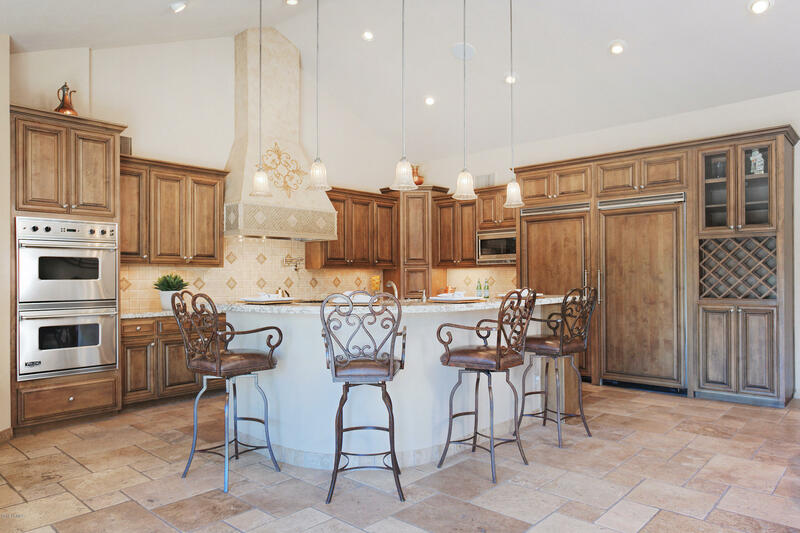 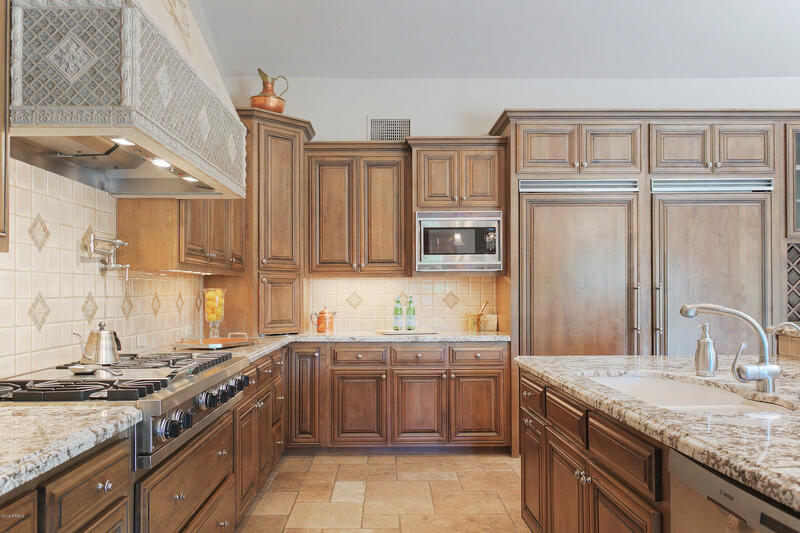 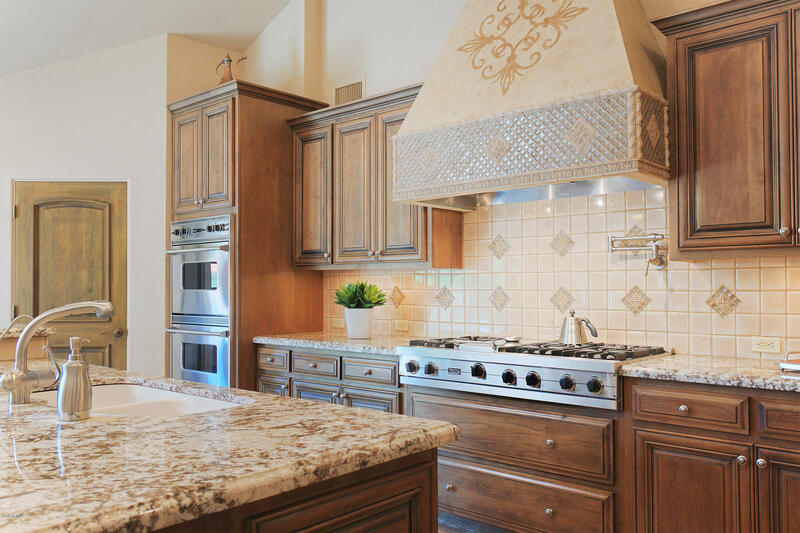 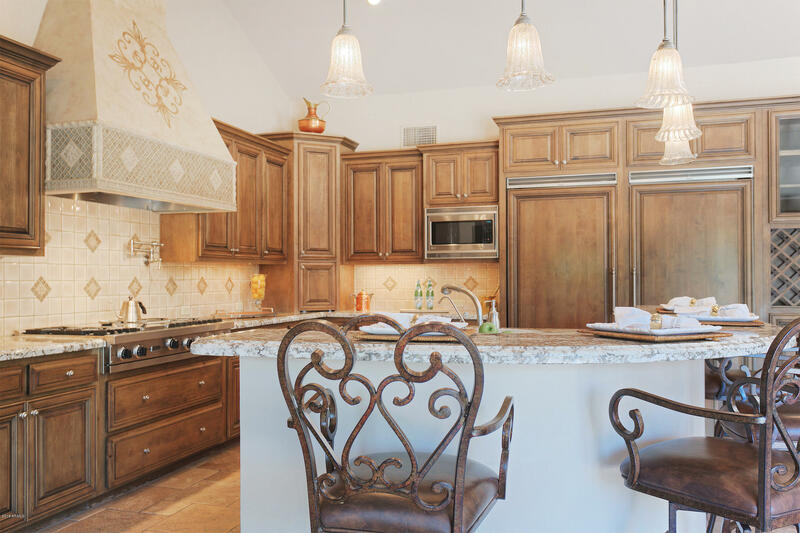 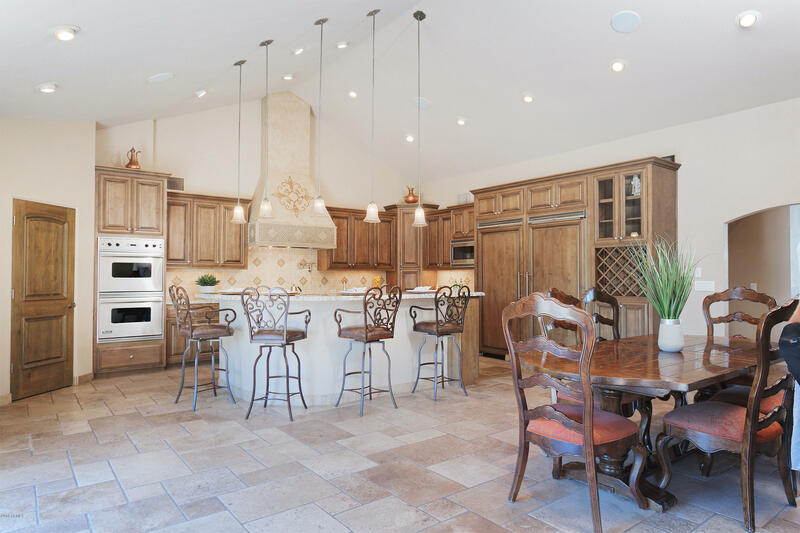 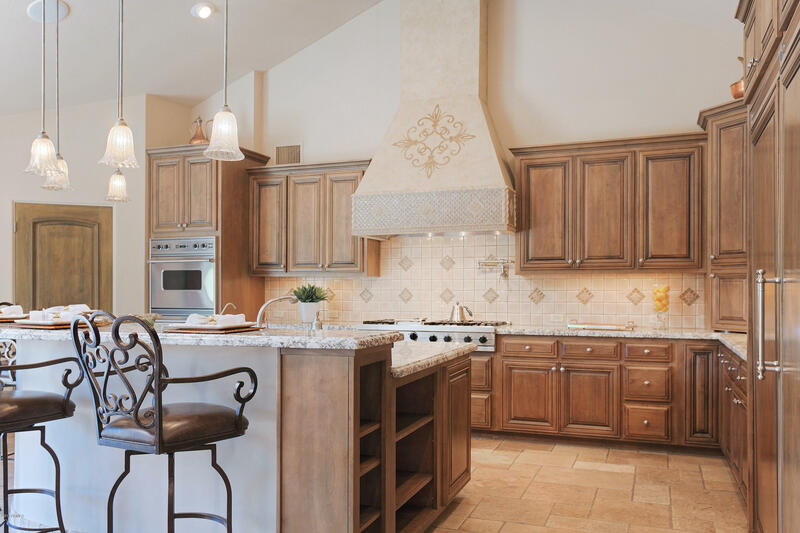 The spacious kitchen has a large center island and bar that can accommodate four guests comfortably. 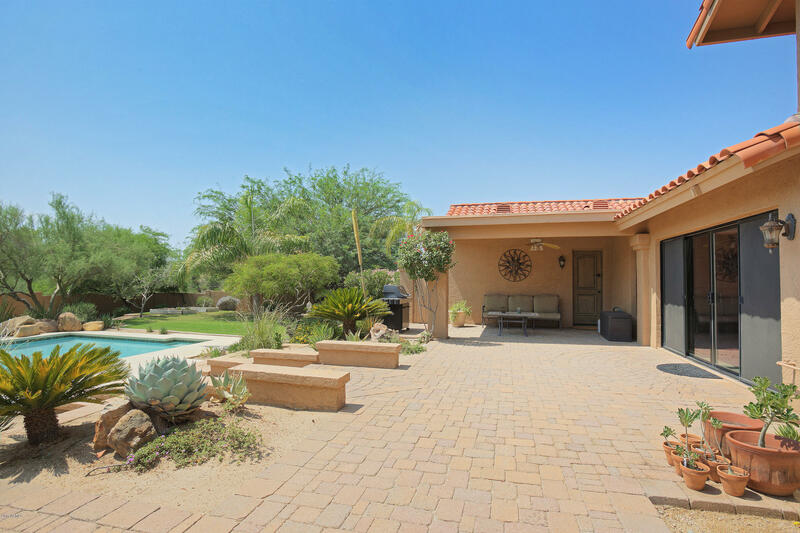 The living room and dining space overlook the gorgeous backyard. 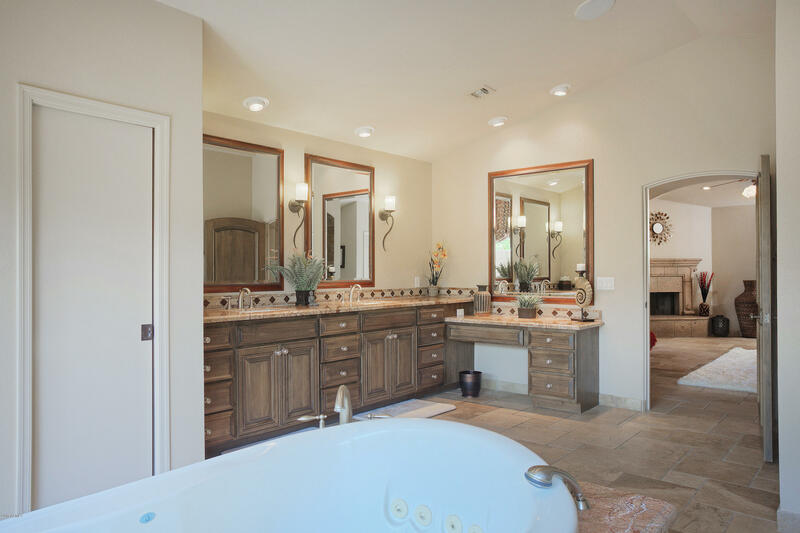 The master wing includes a fireplace and sitting area, a spa bath with dual vanities, jetted tub with separate shower and large closets. 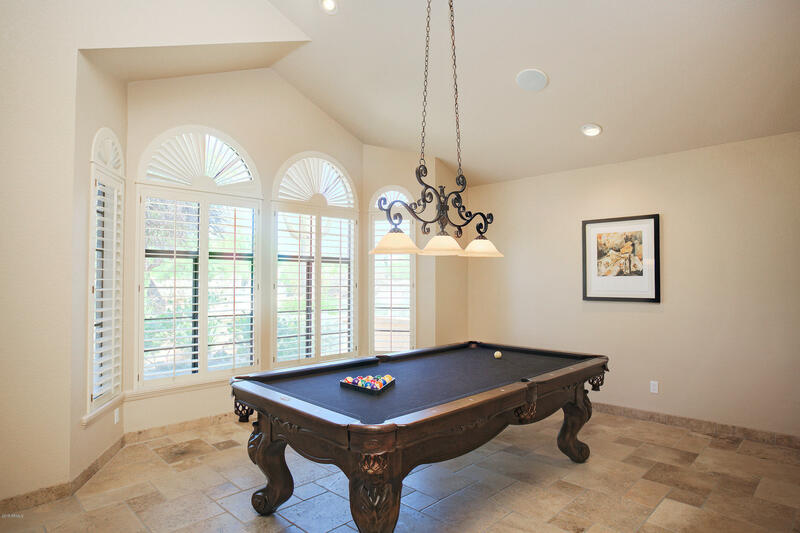 Huge media room with endless potential. 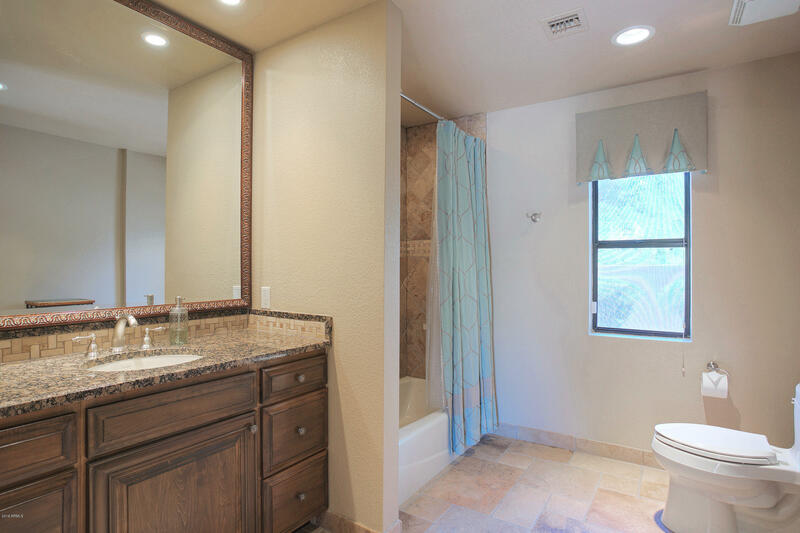 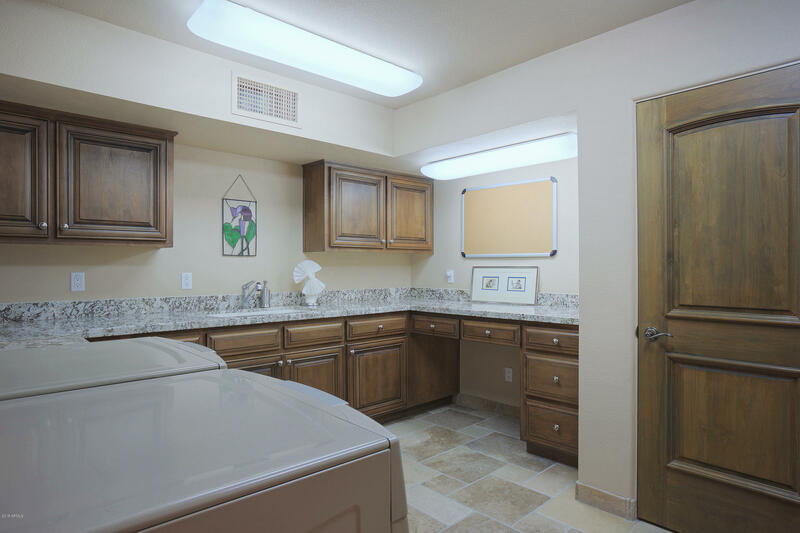 Large laundry with sink and ample storage. 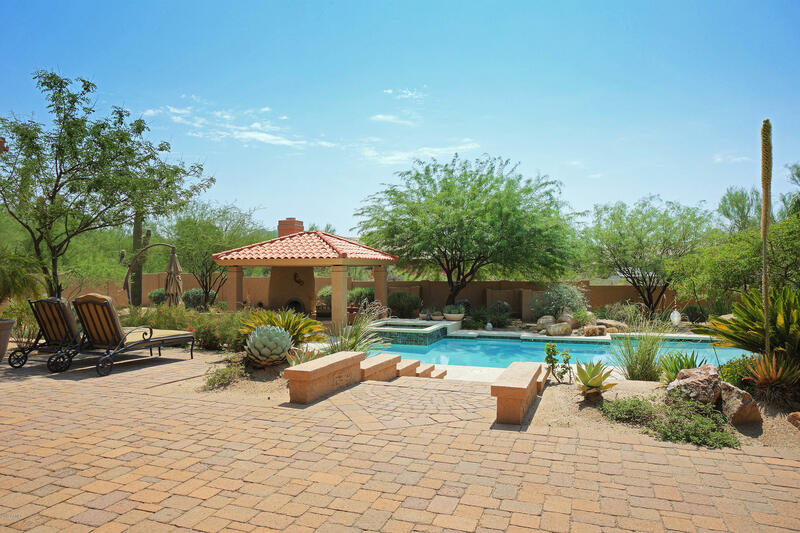 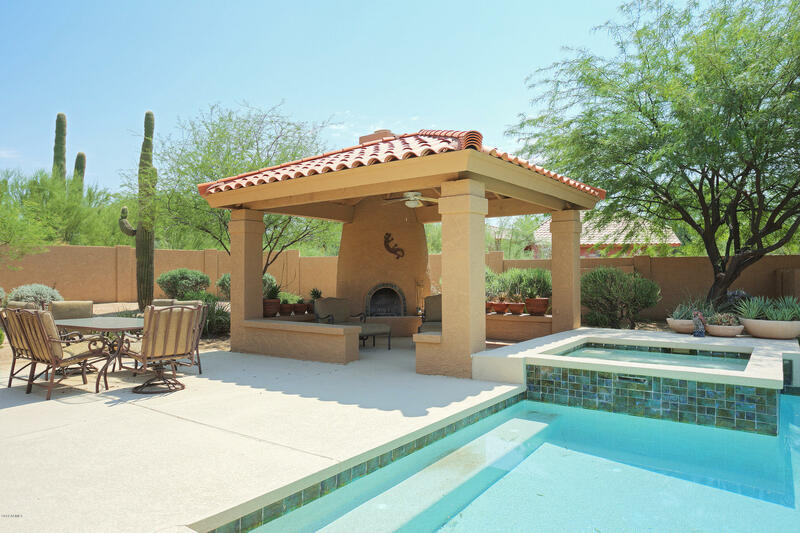 Outdoors you'll find privacy and desert views with sparkling pool and spa, cabana with fireplace and lush grassy landscaping. 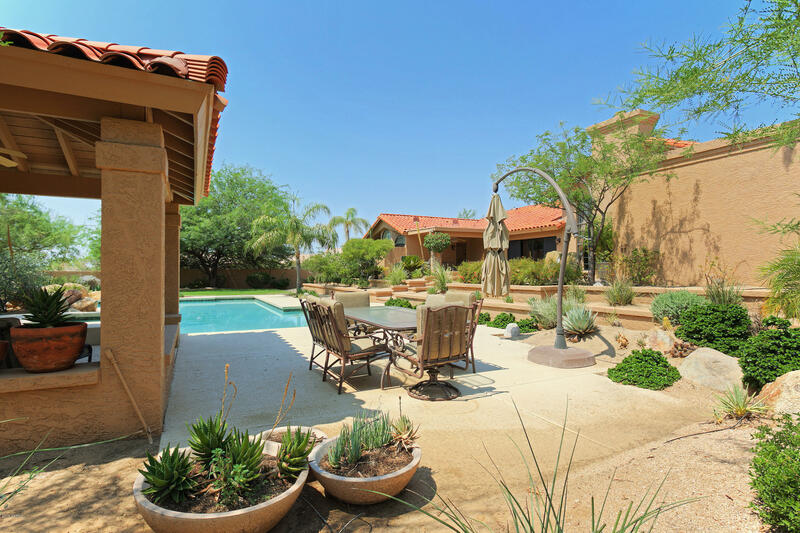 Welcome to your private paradise!